The past few weeks were a jumble of emotions. With my pending move to Nashville, and my roommate Kindell’s first visit to New York, plus stopping to visit my friends in Ohio, I was antsy to get the show on the road. However, as I’ve learned over the past 5 years, with new hellos come many goodbyes. Saying goodbye to work in Long Island wasn’t all that difficult this time around. The Starbucks I was at didn’t have the gel that some of the stores I’ve worked in have. It was mostly chaos, but there were a few baristas I would miss. My last day staying in New York, my brother and sister-in-law along with the kids took me to Staten Island — where I was born and raised — to have lunch with my sisters. We may all have our differences as siblings, but it’s moments when we come together when it matters that reminds me of the bond we will never lose, though it might wear thin at times. After lunch, we headed over to Moravian Cemetery, where my mother, along with most of my deceased relatives are buried. My niece Samantha picked a spot to place the candle she wanted me to make for my mom. We lit the candle and all stood, saying our prayers. It was special, and of course, I was in tears before I even had to hug my brother and those kiddies goodbye. My niece was stronger than I was, but she made me take her stuffed whale with me to always remember her. Too cute. I don’t know if my nephew understood that I was leaving, but I hope he understands how much I will miss them. I was spending a week at my sister Cindy’s new house in New Jersey. It seemed more convenient for Kindell to stay there, and for us to get into NYC that way. Part of me wanted to skip all of the Manhattan-bound days and be in Nashville already. I missed it. I missed having a place of my own. At the same time, I was excited to show Kindell all of the wonder and crazy that is New York. Kindell is a small town girl from Texas and a photographer. I knew this would be epic for her. The Brooklyn Bridge taken from my phone. Our time in New York was quick, but fun. My sister Cindy was very generous and even got us a hotel room for one night, which was cool to not have to travel back to Jersey. We spent most of our time wandering slowly across various areas. 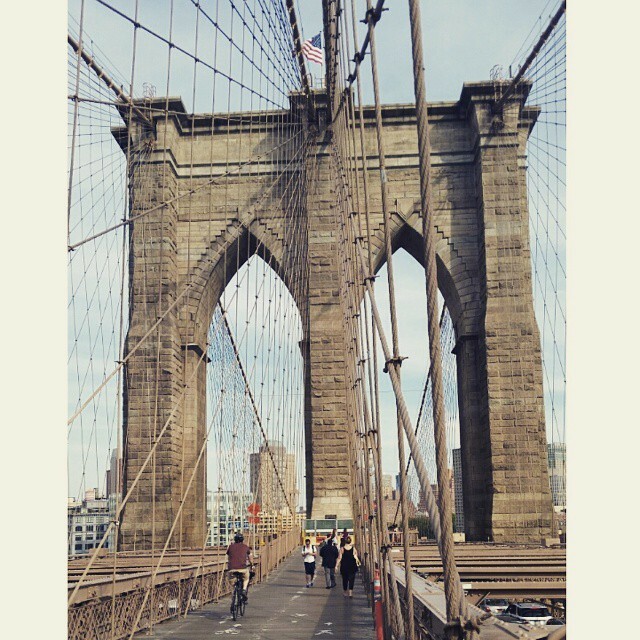 I don’t know how long it took us to cross the Brooklyn Bridge — we stopped every few feet to take artistic photos. I have to say, everything was worth the sore feet. I was very much ready to leave NYC by the end of it, feeling suffocated at times, but can also appreciate the wild beauty of it all. I will include more photos soon. Kindell and I were both snapping shots we thought were cool, not always your typical tourist photo or selfie. We’re awesome like that, haha. I did have Kindell take some new promotional shots of me in Central Park to promote “The Reunion” though. Hopefully I’ll have those up soon too! Our last stop before finally heading to our new home was Columbus, Ohio. We only spent a full day there, but I was so glad to see some of my friends and meet my newest niece. We went to the Zoo, and of course, I felt bad for all of the animals in their small enclosures. I tried not to be a Debbie Downer about it, but it was hard at times. Me at the Columbus Zoo with 2 of my friend Tami’s kids. When Kindell and I finally got to Nashville, and I saw the Batman building in the skyline, I can’t describe the sense of comfort I felt. There was no furniture in our brand new place on top of a hill, but I loved it already. Little by little, we’re making this giant space our home. I feel surrounded by good friends and a warm environment. I can’t wait to see what new experiences Nashville has in store for me this time around! 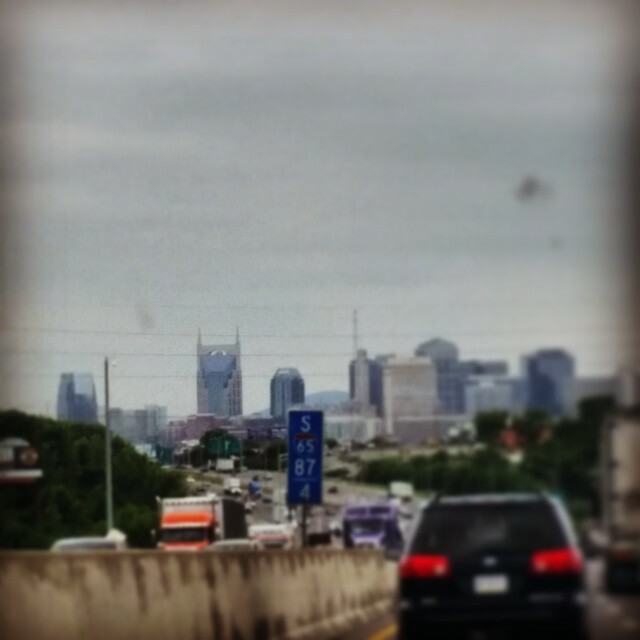 Nashville skyline from the car on a cloudy day. I love this <3 Just reading it felt like you really felt like you were home and that makes my heart happy. And i love that you got to spend that special time with your family. You're going to continue to do great things. So proud of you friend and inspired by your courage and all your traveling! Aww, thank you Mandi!!! <3 I really appreciate that. Right back at ya, my friend! Great seeing you in Nashville, I mean the new you ! You have grown so much in the past few years. All the accomplishments just blow my mind. 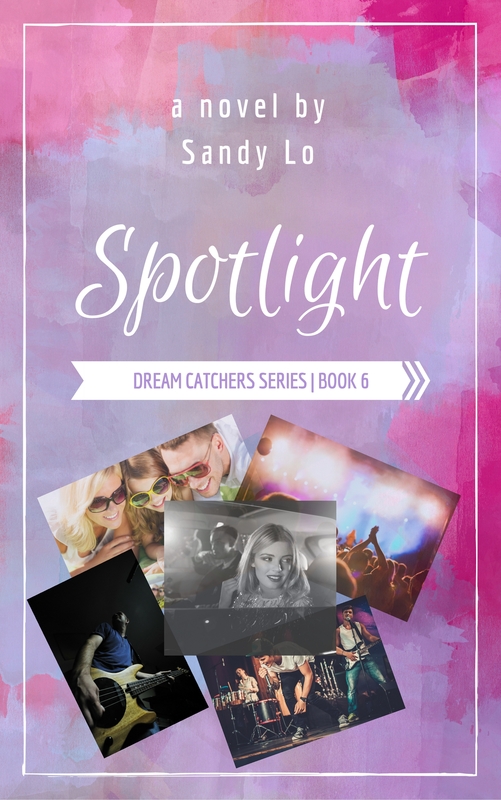 Your bucket list is dwindling but I’m sure you’ll be adding to it soon. Your interests are so varied it was hard to keep up with all the new info. I’ll send the pics we took together as soon as I get reorganized. We got home late Friday and stil feel tired.